Alright, let’s get the elephant in the room out of the way first: why on earth am I writing another ‘how to start a blog’ post. Well, as with many other posts on This Online World, I like to cover topics that have already been extensively covered but are missing a few critical details (or fabricating a few). Blogging is immensely popular. Blogging guides that teach people how to start their own blog are popular as well. However, while there are plenty of great blogging guides and tips for aspiring writers to get started, I also think blogging about blogging has become a niche itself. And, like any niche, there are plenty of niche oriented websites that are looking to monopolize on a trending topic and make some money instead of providing genuine advice. After all, affiliate programs for blog web hosting can be extremely lucrative. 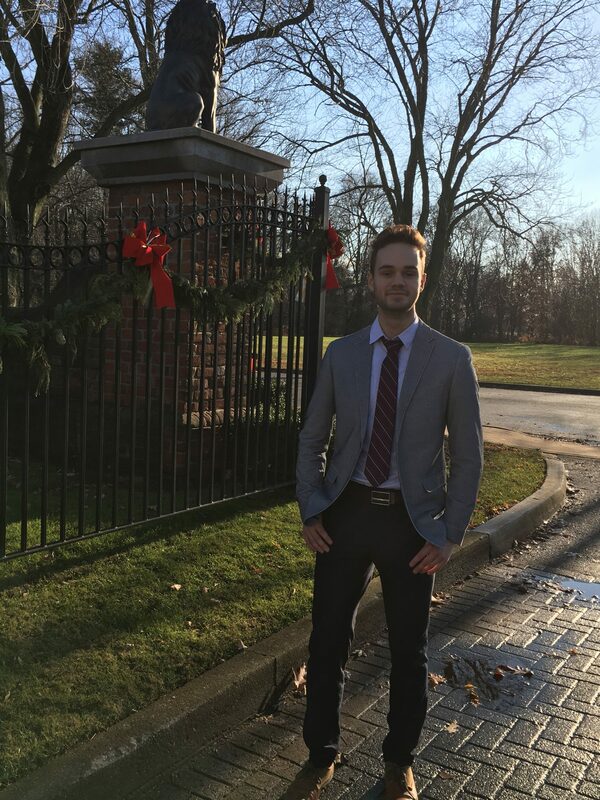 I’ve even dabbled in SiteGround web hosting promotion, and disclosed how I earned a quick and easy $50 in my March Income Report for referring just one person. Considering there are bloggers regularly making $5,000+ a month just by referring people to various web hosting services, it’s no surprise that ‘please sign up for web hosting under my affiliate link’ are commonly disguised as ‘how to start a blog’ guides. But, fear not! While I will include a web hosting link in this post (a guy has to eat), I’m hoping this post will be an extensive, thorough, and helpful resource for people looking to start their own blog OR website. How to select a blog niche – my opinion and strategy. How to create a blog content map. How to secure a blog domain/social media user handles. A very brief overview of the technical stuff. Must have blog pages/posts, and some you can skip. Conducting keyword research and writing blog posts that rank on Google. Marketing your blog and brand. Option 1: People decide to just write about a topic that they love. Option 2: People decide to write about a topic that they think they can monetize. There is a middle ground between the two options, of course, and that’s where I and many other bloggers find ourselves. We enjoy blogging, and as our audience grows, new income streams can develop from sources like affiliate marketing, display advertising, etc. I also suggest grounding your mindset and blogging strategy in this middle ground for a few reasons. See, I have started blogs that have followed both ends of the ‘what do I even blog about’ spectrum. I started my first blog back in high school, and I literally just spewed words onto a Blogger homepage about things that interested me. From baking, to nutrition, to video game reviews, that blog had it all. It also had 0 semblance of organization, thought processing, or an identity. In contrast, I also spent about 6 months working tirelessly to create and market an Amazon Affiliate niche website that was centered on headphones and earbuds. I know absolutely nothing about headphones, and I hated ever minute of the content writing process. I was convinced I could SEO and write my way to some quick money, but the entire project was an unfortunate waste of time. My point: You need to know why you’re blogging, and what your end-game is. If you have absolutely no plans on monetizing your blog or don’t care about growing a readership, go ahead and blog about the different types of Mongolian Yurts or whatever makes you smile. A blog topic that has a growing/already established audience. Don’t listen to bloggers who say you need to spend hours with niche research, competitive analysis, or to find some untouched corner of the internet to start your blog. Who cares what other people are doing? Just do what you do, and excel at it. Build some really sweet houses. You can start blogging in a saturated niche that has a growing audience and still make progress. My blog is on passive income, technology, and marketing: 3 incredibly saturated niches. Not terrible for a blog that started in mid-January amidst some saturated niches! So, how can you identify a blogging niche that you enjoy AND has an audience? Google Trends – just type in a search phrase to see interest trends over time! Social media/the news – Just listen to what people are talking about. You don’t need to waste money with paid tools like BuzzSumo or similar applications. Just use common sense, don’t pick something that’s just a trend (r.i.p to any fidget spinner bloggers), and make sure you enjoy the process of starting your blog. Creating a blog content map will be your key to starting a successful blog during the early stages (and later on, to an extent). Discovering your blog niche is spectacular. However, if you are struggling for weeks on end to know what to write about from the get-go, that’s an issue. Open Microsoft Excel (or some program that will let you organize data). Come up with content ideas, make your plan, and stick to it. I had originally planned to publish 4 posts a month, and I loosely tried to categorize months (i.e. the ‘passive income month,’ or ‘student hacks’ month). I ended up writing a lot more content and jumped around, but the map works. Writing out at least 3 months of your blog content plan keeps you accountable and organizes your thoughts. It also ensures you don’t forget about an article idea you had in the middle of the night 2 months ago. I’ll get into the additional columns for your blog content map in a bit, but the main benefit is ensuring you know the future of your blog. Alright, it’s time to pick your blog domain name and social handles! I’m going to preface this by advising you to not overthink the process. Well, a blog name is like a brand name: it’s the company/service/identity that provides value to a brand, not some dumb logo or clever slogan. Nike’s iconic swoosh has value, obviously. But if Nike sold nothing but tacky running shoes and ugly joggers, the swoosh wouldn’t mean much. Another example: the lifestyle blog Chasing Foxes regularly makes over $10,000/month with their blog. Why they are still chasing foxes is beyond me (I hope they catch one soon). Jokes aside, they have a stellar blog and are making a killing. They don’t need to SEO or mastermind their way to the perfect domain name. Plus, you could argue it’s memorable and kinda catchy! So, how can you secure your blog domain name? Once you’ve decided on a name, go and secure all the social media accounts you plan on using. However, it doesn’t hurt to plan for the future, so secure your main social handles. Now you’re ready to setup your blog! 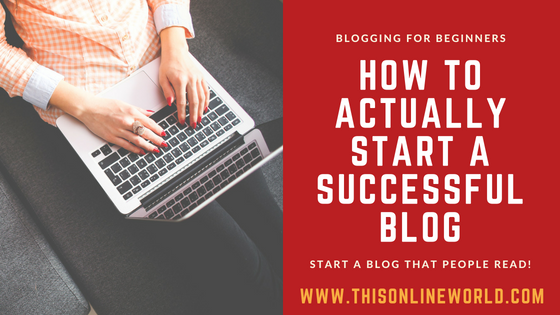 I’m not going to go into excruciating details about the steps to setup a blog because that is easy to do and there are hundreds of guides on the steps. Additionally, ‘how to start a blog’ guides that just post some screenshots of web hosting setup don’t really accomplish much. Instead, I want to answer a few commonly asked questions and concerns about setting up your own blog. I recommend using WordPress to start your own blog. Wix or Blogger might seem like suitable alternatives, but they aren’t. WordPress has the best blogging themes, support, plugins, and is the platform chosen by the majority of bloggers. Additionally, many web hosting providers make starting your own blog with WordPress incredibly easy. Do I need to purchase a blog domain name and web hosting? If you just want to blog for fun or as a hobby, this isn’t important. However, if you want to monetize your blog you must purchase your own domain name and web hosting. Your own domain name brings a professional appearance to your blog, and purchasing web hosting will improve your blog’s performance, user experience, and have various SEO related benefits (like faster page load times). There are also some ways to acquire free domain names, so you can explore these as well if money is tight! I discuss why I have always used SiteGround for my web hosting needs in my SiteGround web hosting review, so I suggest giving that a read! SiteGround covers your WordPress hosting needs for just $3.95/month, and that’s all the hosting and web space most bloggers will need. Additionally, you can also register and purchase your domain name (roughly $15) at the same time as purchasing your web hosting. Do I need to purchase a blogging theme? This is ultimately a matter of preference, available funds, and your goals. WordPress has thousands of free themes, and many of them are great. However, purchasing your own theme can make your life easier, speed up the process of starting your own blog, and reduce the amount of CSS or HTML editing you need to do. 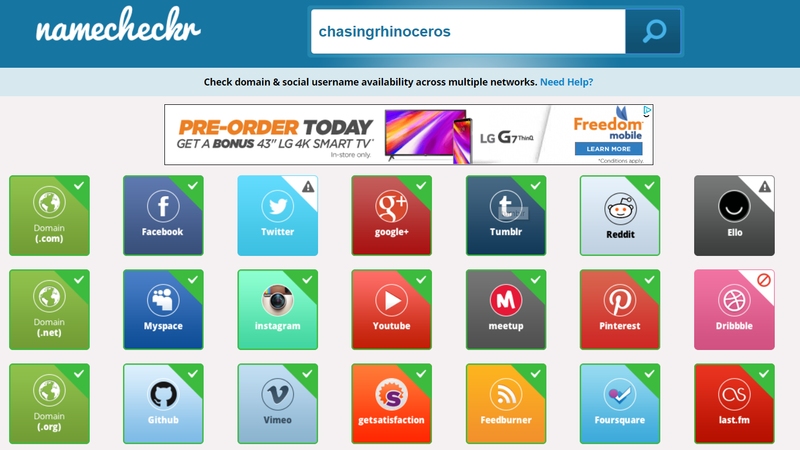 I personally use The Blogger theme, which is sold on Theme Forest by The Blogger. It’s a great theme for bloggers who want a simple design that they can also customize. If you are unsure about purchasing a theme for your blog, you can always start with a free theme for WordPress and upgrade at a later time! If you purchase SiteGround hosting and a domain name for 1 year, you will pay roughly $63.35 USD (if you pay everything upfront). Most blogging themes are around $40-$60, so that could also pose an additional expense. When you’ve decided on your blog domain, just head to SiteGround to start the process of starting your own blog! If you want to support my blog and have found any of my content to be helpful, I would greatly appreciate if you use my affiliate link to sign up for SiteGround WordPress Hosting. Sign up for WordPress hosting with SiteGround! *When you have signed up, just let SiteGround walk you through the 1-click WordPress install and go through the process of selecting a blog theme (or uploading one you have purchased). If you run into trouble, websitesetup.org has some useful screenshots on how to edit the theme and appearance of your blog. Just ignored their terrible suggestion to go with Bluehost web hosting. Once your blog is operational, it isn’t a bad idea to start by setting up some fairly standard pages. Personally, I think it is valuable to have an ‘About’ page that describes your blog, what you are writing about/interested in, and what people can gain by reading your work. I also think having a ‘Contact’ page (you can just use a free WordPress contact page plugin) is a good idea. Any services you might offer. As for posts you can skip, definitely pass on writing a ‘hello world, this is my first blog post’ kind of post (unless you are a lifestyle blogger, perhaps). Your blog will have a skeletal frame until you put some delicious content-created meat on the bones, so don’t fret about how your blog looks or feel like you need to introduce readers to your grand plan. Just write. And write a lot. I’m all about SEO and developing organic traffic streams. Why is organic traffic so great? Well, for starters, it doesn’t require any work on your end or time/resources put into promotional efforts. Considering how valuable this traffic is, it’s important that you write with SEO and ranking your blog posts in mind as you begin to execute your blog content map. So, how do you write a blog post that ranks? Word Count: Aim for 1,500-2,000+ words. Google is more competitive than ever before, and the days of ranking with 500 word articles are over. Add Long Tail Keywords: Specifically, pick 2-3 long tail keywords to try to rank for with your blog post. A long tail keyword is essentially a longer search query that you can incorporate into your writing. In other words, think of it as adding phrases that someone would type into the Google Search bar. You can use the Google Keyword Planner to effectively find and incorporate long tail keywords into your blog writing. You want to aim for longer search phrases because, while they are less common, they are also less competitive. The average monthly searches on the query are great, but the competition is high. Chances are, there are some pretty authoritative websites ranking highly for the term. It has fewer monthly searches, granted, but the competition is low. This is an example of a long tail keyword I might try to pepper throughout my blog writing (experts say around 2% density in your writing, but just pepper it and don’t spam). I’ve even included the term and some variations of it in this post. Before you write a blog post, you can add your planned long tail keywords to your blogging content map! Boom, you are now incorporating search engine optimization and mindful keyword planning into your blog writing before you even start writing! You can also start to conduct some on-page and off-page SEO for your blog, using the same content map planner! To encourage readers to visit other parts of your website, it’s a good idea to interlink your blog posts and pages. I’ve done it a few times in this post, and it’s a great way to increase the average time your readers spend on your blog. Additionally, you can also plan your outbound links in your content map. Where do you plan on sending your readers? Are you going to monetize a blog post with affiliate links, referral codes, or shout out another blogger? Plan these things in your content map, or you’ll forget! You are now ready to plan and execute your blogging content! I’ve written a WordPress SEO guide for blogging beginners which could also be a useful read! I suggest you focus on content creation for the first few months of blogging, allocating roughly 80%-90% of your time to it. The other 10%-20% can be used for promotion and marketing. How to market your blog on Quora. How to market your blog on Medium (and get paid). 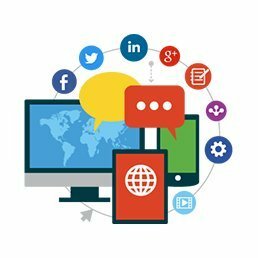 Social media and marketing tips for business. I’d suggest giving them a read if you have time, especially the post on Quora marketing! You can also spend time marketing on traditional channels such as Twitter, Facebook, or Pinterest, but don’t bite off more than you can chew. Content creation is ultimately your number one priority, and it will yield you the most beneficial results over time. Stretching yourself too thinly and trying to promote on every platform under the sun can also grow exhausting, so be sure to know your limits. My advice: stick to Quora and Pinterest and only expand to other marketing/social platforms when your blog has an established stream of organic traffic. If you are looking to generate additional income with your blog, that is great! However, you should also know that your journey to creating a passive income stream or just making money in general is going to be a long one. There are plenty of ‘blogging about blogging’ websites out there that make blogging seem like the easiest path to money there is. In reality, generating any kind of income through blogging takes a lot of work, time, and dedication. However, earning income with a blog is possible! It just might take months/years to start making your first few hundred bucks. This has already been a long post, but if you want to see the steps I took to generate a $100/month blog, check out my post on creating an income generating blog! Additionally, you can also check out some of my recent income reports, where I’m slowly closing in on the $300/month mark! I hope you have found this blogging guide for beginners to be useful, and maybe inspiring! I am not an expert when it comes to blogging, but I think I’ve done alright since starting This Online World in January. Thanks for reading! Be sure to share this article with someone who is on the fence about starting their own blog. Great post! I’ll save it and check out all advices! lovely post! i badly needed tips like these. I’ve been blogging for almost half a year but had no plan. I love the idea of a blog map! I also appreciated the explanation around SEO and long tail keyword terms. That’s something I’m going to try incorporating now. Cheers!